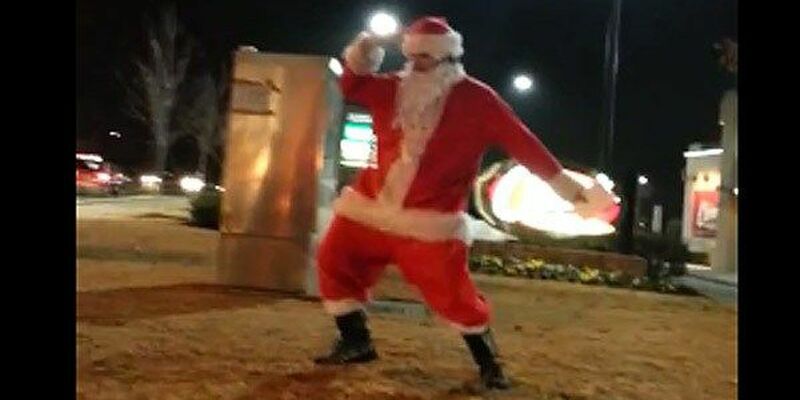 (WAFB) - A dancing Santa in Oklahoma is entertaining motorists, especially if you turn up the music in your car and give him some attention. A video taken by Tessa Braley this week features Santa dancing to "All About That Bass" by Meghan Trainor. Santa entertained Tessa and her family, and they made four trips around the block to see him again. If you're on mobile and would like to watch the video, click here.